SAN ANTONIO — After the Patriots’ 62-55 win over the Corpus Christi Veterans Eagles on Saturday at the Alamodome, Mission Veterans quarterback Landry Gilpin entered the record book in a variety of ways. Gilpin threw for 439 yards, which broke a 10-year-old UIL Class 5A individual passing record held by Tyrik Rollison of Sulphur Springs, and five touchdown passes to help the Patriots break into the fourth round of the playoffs for the first time in school history. 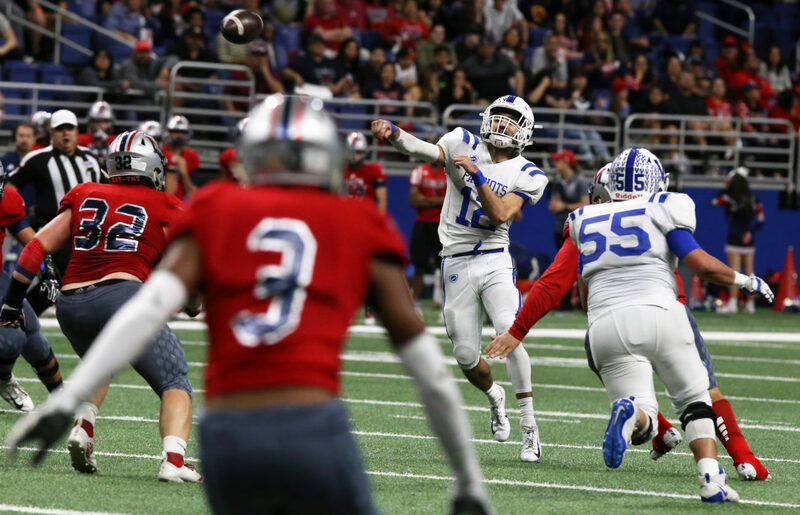 Mission Veterans will face off with San Antonio Wagner at 10 a.m. Saturday back at the Alamodome. His 46 passing attempts are another UIL record. To read the rest of the story, visit: rgvsports.com.